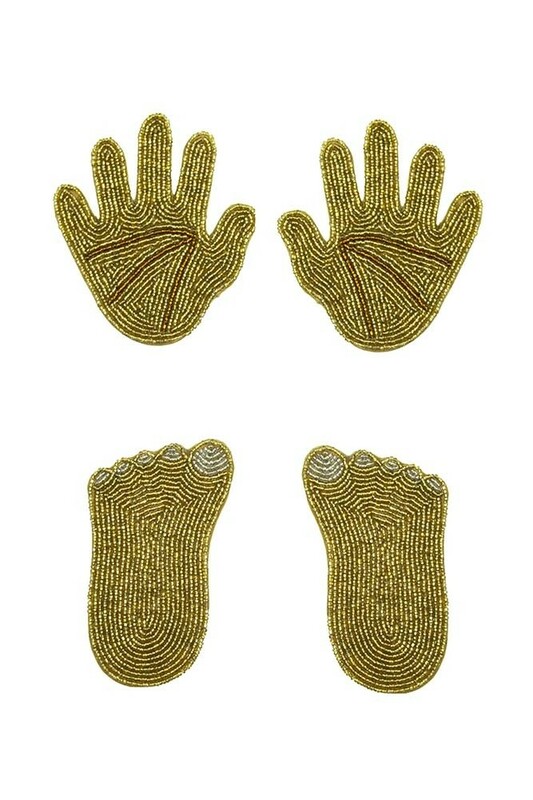 Super quirky, the Hands & Feet Gold beaded coasters will add eclectic edge to your home! 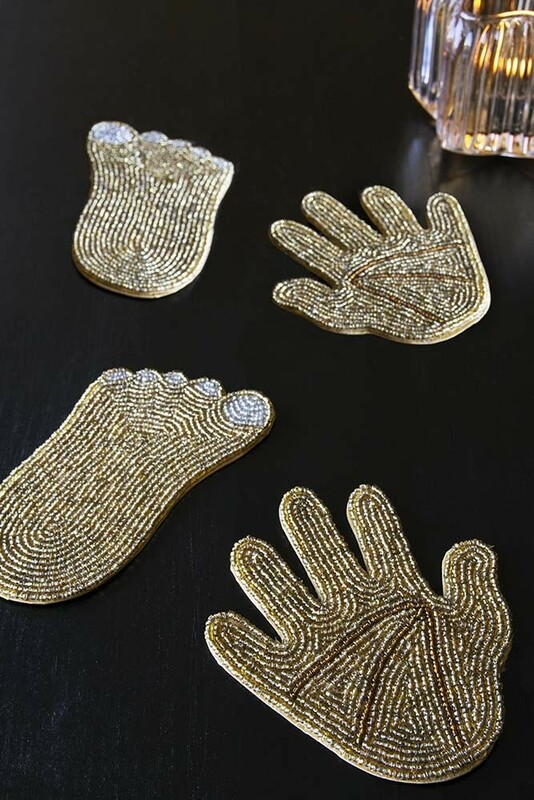 A brilliantly beaded set of 4 decorative coasters, adorn your side tables, coffee tables and bedside tables with these fabulous hands and feet coasters! Perfect for protecting your surfaces as well as looking super eye catching the Set of 4 Beaded Coasters feature two hands and two feet in gold beading. Cool and edgy rock ‘n’ roll own-design coasters, we think that this set of coasters would make a fabulous gift idea for your friends, family and lovers!